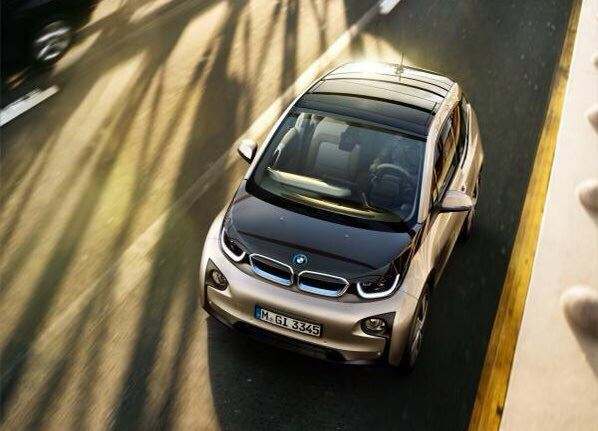 The BMW i3 has claimed the title "Green Car of the Year" for 2015, adding tho the list of honours the model has racked up in its first year on the market. It was chosen for this award, presented by Green Car Journal at the Los Angeles Auto Show 2014, as the first dedicated all-electric vehicle in the premium segment. With 12,000 units sold to date since it's launch, the BMW i3 is already the third best-selling all-electric car in the market. The automaker says that demand for this EV, which can optionally be supplied with a range extender, is outstripping expectations. The model has won favour with the German auto media having claimed the Green Steering Wheel 2013 award – one of the categories in the Golden Steering Wheel competition hosted by Auto Bild and Bild am Sonntag – and was voted best car in its class in auto, motor und sport’s Best Cars 2014 awards. It also won two readers’ awards from Auto Zeitung magazine, plus the Auto Trophy 2013 and the Green Mobility Trophy 2014. Internationally it has garnered very positive ratings in opinion polls and independent expert reviews. Highlights to date include the UK Car of the Year Award, the Next Green Car Award, the Green Car of the Year Award, the Fleet Hero Award and a class win in the Sunday Times Top 100 Cars list (all of these in the UK), the Special Jury Award in the Swiss Car of the Year Award and a win in the French Trophées de l’Argus awards. In April 2014, a jury of motoring journalists from across the world named the BMW i3 World Green Car of the Year and World Car Design of the Year. In addition it has been named the winner of the German Design Award, the iF gold product design award and the Automotive Interiors Expo Award, while the French edition of GQ magazine named BMW i Head of Design Benoit Jacob “Designer of the Year”. In further tributes, Auto Bild voted the BMW i3 Design Innovation of the Year, and readers of Auto Bild Klassik named it Classic of the Future. The evaluation by Green Car Journal was based on the BMW i3’s zero emissions at the point of use, its innovative lightweight design and the high percentage of sustainably produced materials used in its manufacture. Green Car Journal specialises in reporting on sustainable, efficiency-enhancing technologies and pioneering trends in the automotive industry and has been hosting the Green Car of the Year Award annually at the LA Auto Show since 2005.